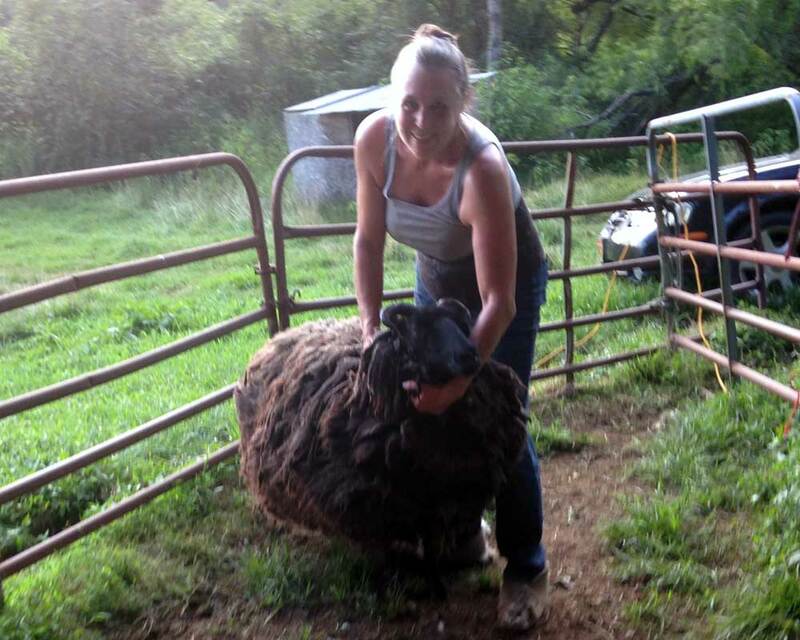 Kinder, Gentler Shearing & Care for your fiber animals. Shearing Parties – Fun or Folly? It’s hot. Can you come tomorrow to shear? What is it like being a shearer? What to do with your fiber? I am currently scheduling shearing for spring of 2019. If you are a new client, please make sure to fill out my request form! For sheep: if you are expecting to lamb, please try to schedule shearing at least 3 weeks prior to lambing; otherwise please allow at least 8 weeks after lambing to schedule your shearing date. Primitive breeds such as Shetlands, Icelandics, and Jacobs should be scheduled for late May/early June. Please note: I am not taking on any flocks of finewool sheep or babydoll sheep. For goats, alpacas, and llamas: the weather can be unpredictable in the early part of spring, so please consider that and your barn facilities/ability to protect the animals from the elements when looking at shearing dates. For horses requiring spring clipping: Please make sure you have a turnout sheet and/or a lightweight blanket for those unexpected cold spring nights. Weekends book up very fast and the desirable dates are very few. This coming season, I’ll be requiring a deposit for weekend bookings. Please try to be flexible in scheduling on a weekday. Remember: this is a once a year event that is critical to the health of your animal. Please make time for it. Rescheduling due to weather (whether it’s too hot, too cold, or raining) will result in a later make-up date for your farm – in most cases, June. I encourage all farmers to be prepared for shearing on their date no matter the weather. Obtain inexpensive dog or calf or foal blankets in the event of cold, have fans and good ventilation for animals in barns for hot weather, and please read my article on shearing and rain to come up with ideas for coping with wet weather. The spring is very hectic for all shearers, with days often starting at 7 am and ending at 10 or 11 pm. Most of us set up scheduling during the winter and are fully booked come March, but we do our best to fit in new requests as we can. If you contact me during these months, please allow at least 24-48 hours for a response. Returning phone calls is very difficult during this time because I’m working, driving, or it’s too late too call anyone. Please try to text or email for a much faster response. Wait! Before writing a comment on this post, if you wish to ask for a shearing date, please click on the link above which will take you to my shearing request form. I receive these much more quickly! Bluebird Gap Farm is a farm-themed city park in Hampton, Va. We have 2 alpacas, 2 llamas, and 6 sheep that are in need of shearing and I’m curious if you will be available in the next couple of weeks. I would be looking to shear them sometime between May 20 – 23 or 27-31. I understand that your weekends are filled up but are you available during the week? Thank you in advance. We have ten alpacas. We live just outside of Parsons, WV. Could we possibly get you to shear them for us. You were highly recommended by David Moran. You could shear at our place any day or anytime. Could you please let me know if this is possible. Thank you very much. I have 5 alpacas and 5 sheep that need shearing as well as one from a client. We are very flexible as far as timing–pretty much whatever suits you. Are you booked or do you think you would be able to shear them? I am located in West River, Md. ← It’s hot. Can you come tomorrow to shear? Shroeder Shearing is a service of Star Gazing Farm Animal Sanctuary.